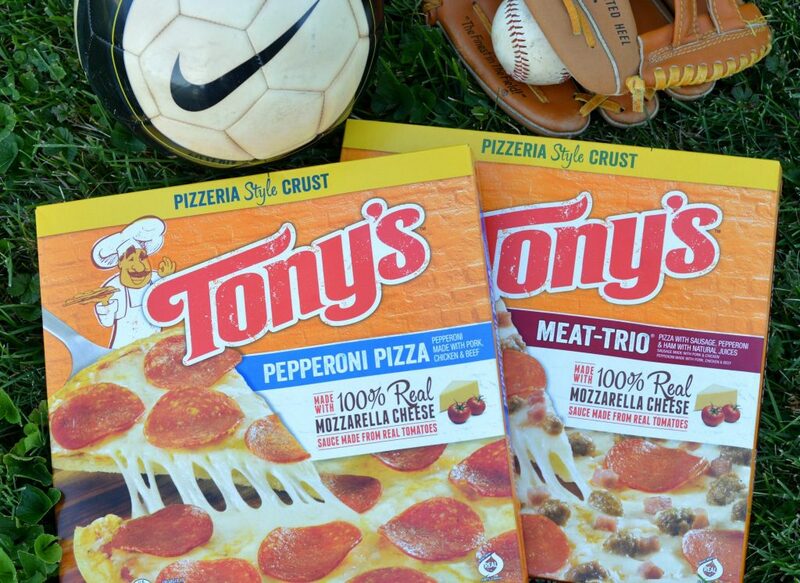 Tony’s Pizza cares about fueling kids sports, with a slice of pride since 1960! Work, soccer practice, soccer game, baseball, another soccer practice, sleep and repeat. This has been my summer schedule. Whoever it was that first named summertime “the lazy days of summer” must not have been a sports mom because my summer has been anything but lazy. In fact, my summer has been a constant “Go, Go, Go!” and sometimes my schedule above even lacks sleep! One thing my schedule never lacks? Dinner. Oh no, any sports mom (or parent in general) know we must fuel our kids with a satisfying dinner before we send them out on that field! And what’s my kids favorite dinner? Pizza, of course! Do you want to know what happens when I tell my kids we are having pizza for dinner? 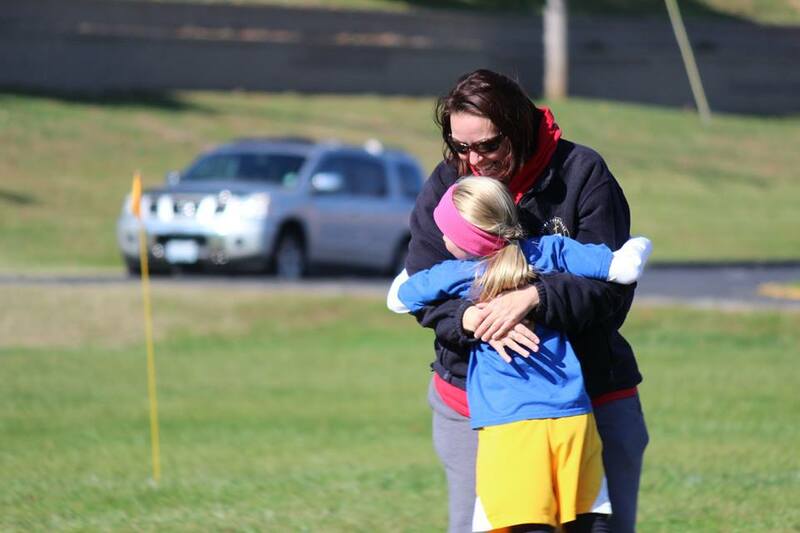 I receive a great big hug from them during practice! Oh, the smiles on their faces when they hear it’s pizza night certainly makes my day! And then panic sets in because with my busy schedule, I have not been to the store and we don’t have pizza at home!!! So, I do what any multi-tasking parent does. I head to my local Walmart where I can not only pick up pizza for dinner but also a few other items on my list! 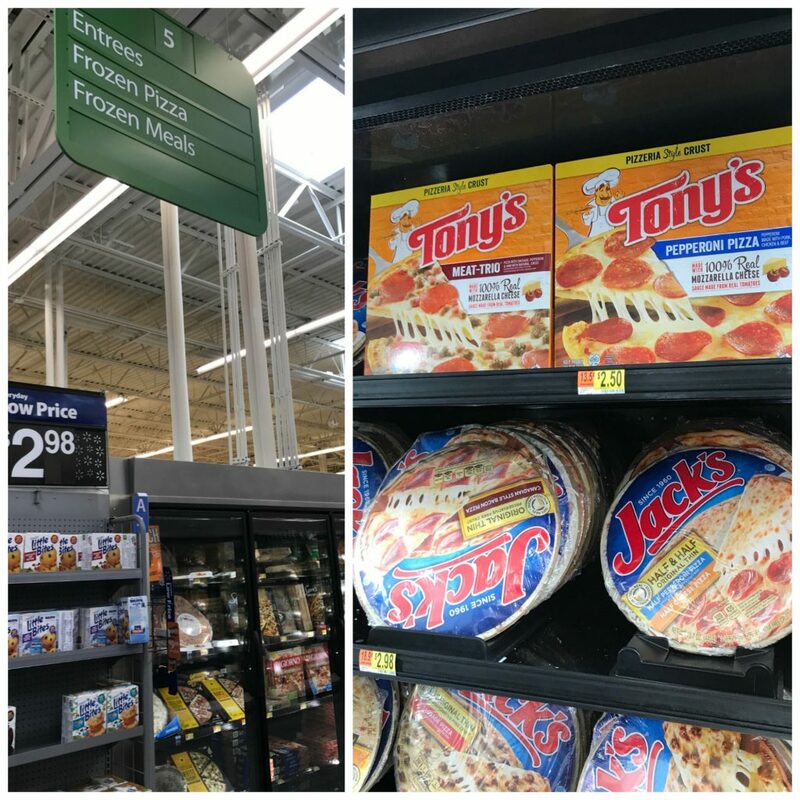 I have to admit, I was on a mission to hunt down one of my favorite pizza’s when I hit the frozen food aisle at Walmart! I am a fan of Tony’s Pizza, which have been serving pride since 1960! They also care about fueling young athletes with a slice of that pride, which is fitting since we had just left soccer practice and my littles were hungry! Bonus? Tony’s is also hosting a Facebook sweepstakes until September 30th and one lucky winner has the chance to win $10,000 donation to their sports team or athletic department. Now that is a contest I can sink my teeth into! 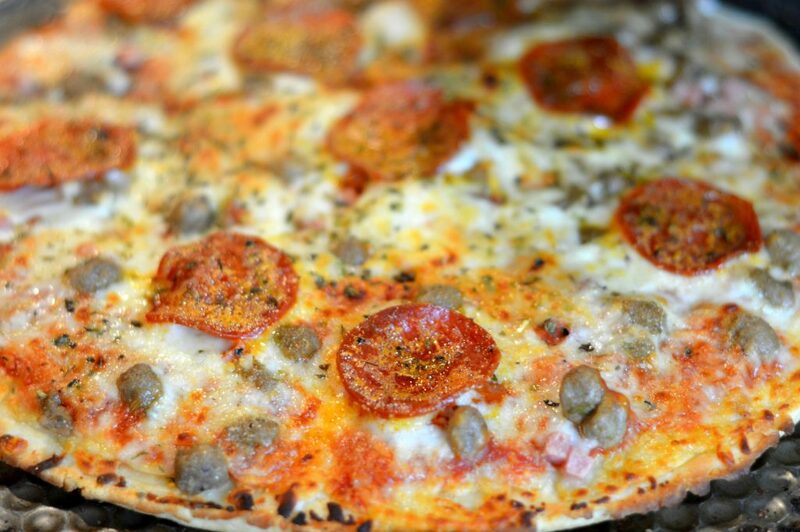 We also sunk our teeth into thatTony’s® Pizzeria Meat-Trio we picked up at Walmart! I always like to throw in a delicious, but easy, side dish for the family to enjoy. I never was a Pasta Salad eating kind of girl but a few years ago I got a hankering to make my own and since then I have been hooked! 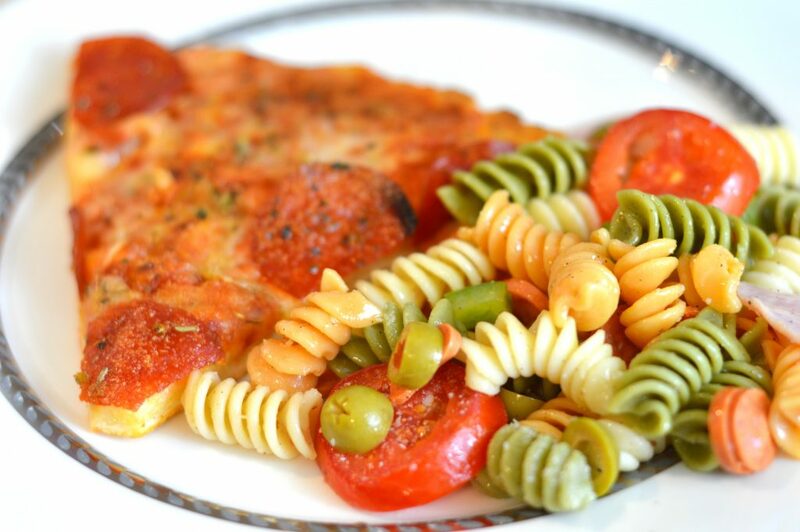 It is such an easy dish to make and it paired perfectly with pizza! 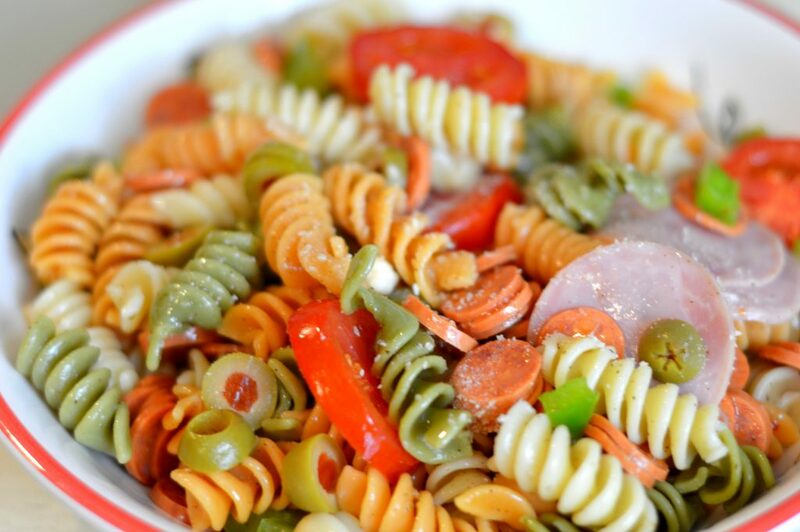 So, check out this Easy Pizza Pasta Salad Recipe! Cook rotini, follow directions on the box. Drain and rinse pasta under cold water. 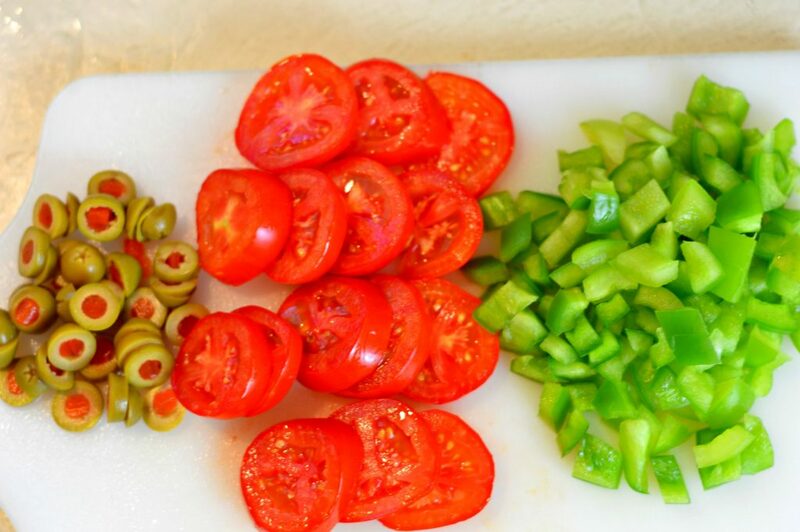 Chop up veggies for the salad. 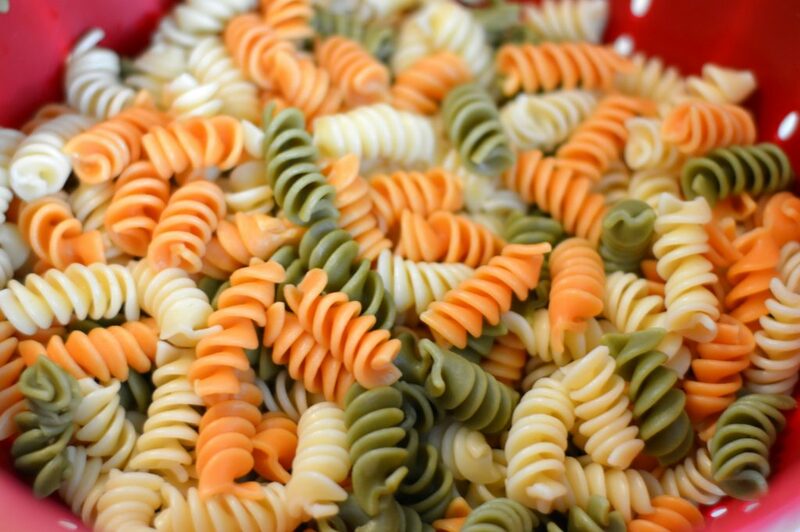 Place cooked pasta, dressing, and remaining ingredients in a large mixing bowl, turning to coat all ingredients. 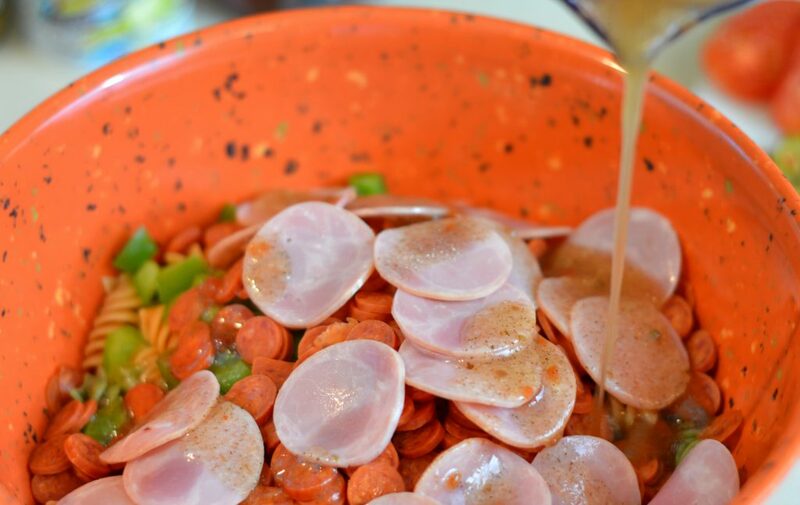 Enjoy this delicious side dish with your favorite meal!